These days it seems as though online marketing trends are changing daily, and if you aren't a full-fledged marketer yourself, it can be hard to keep up with the latest trends and tools. That's why our marketing team put together a quick list of online marketing tools that your eyecare practice can try if you're struggling with one of these common small business problems. Whether you use Snapchat or not, you've probably had someone show you the funny filters and stickers you apply to Snapchats. And now, you can even easily create your own geo-filter, which means you can make a special filter just for your eyecare practice that your patients can apply to their Snapchats of themselves trying on new frames. Creating and promoting your filter can help build more engagement on social media to spread awareness of your practice. In a small business one of the hardest things can be finding the time for social media and creating content that is worthy of sharing. But on the bright side, there is already so much content out there worth sharing, you just have to be able to find it. Feedly helps you easily arrange web content to save for reading later, or to quickly share on your social channels. That way, when you see an article that your followers might find helpful you can save it and start collecting posts to share on your pages. The possibilities with this one are seriously endless. Whether you're making a new sign for your front desk, a quick image for a Facebook post, or making an image for your website there are going to be times when you need to put your design skills to work. That's not always easy for someone with limited design experience. Now there are free online tools, like Canva, that provide templates and images to help you more easily lay out simple images and design pieces. There are still times when a designer will make the most sense for your practice, but Canva is great for those quick and easy messages you want to portray with images. 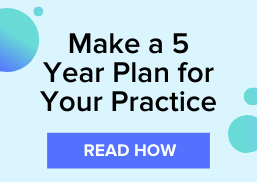 One of the best ways to keep up with your practice's marketing and business strategy is to have a plan and an easy way to stay organized. Evernote is a great app to help you stay organized, keep checklists, tables, documents, recordings, and so much more on hand with you wherever you go. You can also share information with your team. For example, if your office manager is in charge of posting to your social media accounts you can share content with them through the app that you think would be good for sharing on your channels. Email marketing should be a piece of your overall practice marketing strategy. Being able to quickly and easily send bulk emails to patients to promote upcoming practice events or product promotions is a great way to stay top of mind with your patients. MailChimp is a cheap and easy way to help your practice get started with email marketing if you haven't been doing it before. Similar to Canva, MailChimp provides easy to use templates to make it easy to put together an email that will look great whether someone reads it on their computer or phone. Grammarly is a free Chrome extension to add to your desktop. Whether you're writing an email, social media post, or website copy Grammarly will be there to help proofread your work for you and help you catch any unprofessional typos. 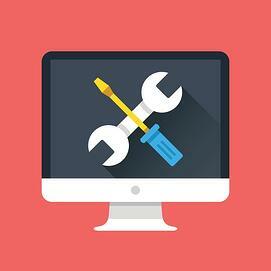 For more marketing and social media tips for your eyecare practice subscribe to the blog.